St Johnstone have contacted Falkirk with a view to signing midfielder Blair Alston on a pre-contract agreement. The 23-year-old has five months left on his current deal with the Bairns and has yet to agree new terms with the Scottish Championship outfit. He is now free to speak to other clubs about a contract for next season. 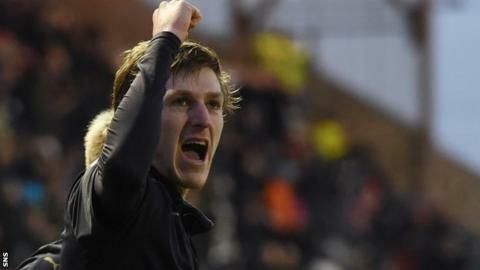 Alston has made 192 appearances for Falkirk since making his debut in a League Cup tie against Partick Thistle in 2010. The product of Falkirk's youth system has scored six times in his 27 games this season.